Germany is a leader in orthopedics in Europe. According to the Rhein-Bonn-Sieg Research Institute data, approximately 63% of all patients who have chosen the treatment in Germany are the patients with orthopedic diseases. Best orthopedic hospitals in Germany provide conservative therapy in the most cases. It is a non-traumatic method of orthopedic diseases treatment. According to the Focus journal reports, 2/3 of the patients who choose the treatment with this method receive positive results and may avoid the operation. 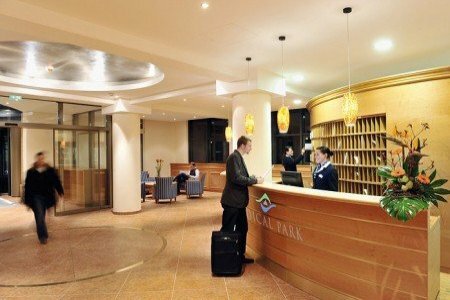 Orthopedic hospitals in Germany offer a comprehensive treatment of different orthopedic diseases. The cost of the treatment depends on the patient’s disease, chosen therapy method, hospital, and surgeon’s experience. Orthopedic hospitals in Germany are the leading ones in the joint replacements. Doctors implant high-quality endoprosthesis. The average lifespan of the implants is 20-25 years. ❗️ Submit a request for free and our MD will help you to find the best orthopedic hospital in Germany! Bookimed International Patients Support Center is an independent provider of the world’s best treatment solutions. Our services are free for patients. You pay for your treatment directly in the chosen clinic. 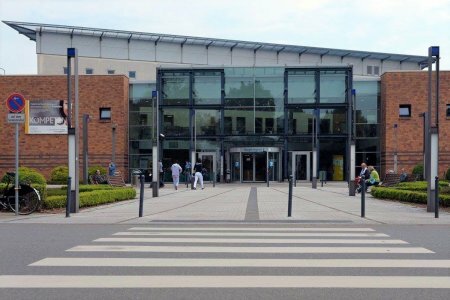 ➢ Find out more about top 10 orthopedic hospitals in Germany below! ⬇⬇⬇ The ranking is based on success treatment rates in the clinic, surgeons’ experience, and patients’ reviews. Choose the most appropriate one according to your preferences. 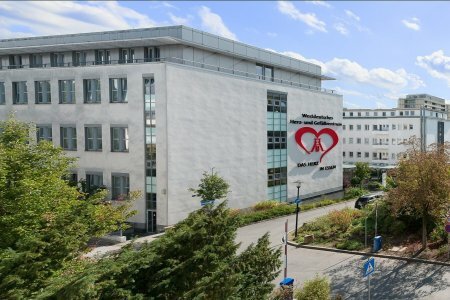 The Сenter for Orthopedics in Asklepios is included in the list of the best traumatological institutions of Germany according to the Focus magazine. Here, bones and muscles are treated, joint replacement procedure is performed. During the treatment, minimally invasive methods are applied, joints are replaced through incisions up to 10-12 cm. The department includes a specialized Unit for the treatment of elderly patients. Post-surgery orthopedic rehabilitation is avalable. 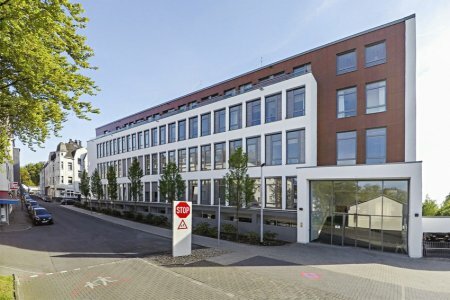 Germany takes the leading place in the quality of medical services and the application of new techniques in the field of orthopedics and traumatology. 80% of adults feel the back pain during their lives. No wonder why orthopedics in Germany are in the top of leading directions of German healthcare system. German specialists perform complex spinal operations with the help of minimally invasive methods under the video control. The greatest successes is achieved by German doctors in the treatment of infantile cerebral palsy: orthopedics in Germany includes a set of procedures for the treatment of cerebral palsy, combining surgical, medicamental and rehabilitation assistance. The set is one of the most effective in the world: 65% of patients after the treatment get an improvement. Arthroscopic examination of joints (visualization of the joint cavity using modern computer technology). The successful treatment of orthopedic diseases in German clinics is due to the comprehensive approach. The choice of the method of treatment depends on the nature of the illnesses, medical indications and recommendations of doctors. The priority method is the operation, but German specialists begin the treatment with non-surgical methods (manual therapy, osteopathy etc). German orthopedic clinics and centers develop own methods of treating muscles, bones, joints, ligaments and tendons, which are adopted by specialists from all over the world. Restorative treatment after orthopedic surgery. Sports medicine deals with the treatment of diseases and the consequences of sports injuries. 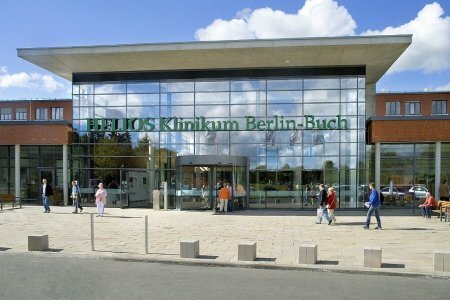 It is a leading branch in the treatment of orthopedic diseases in Germany. Many world-famous athletes (Klitschko brothers, Steffi Graf) undergo treatment and preventive examinations in German orthopedic centers and clinics. Sports traumatology in Germany is one of the leading directions of medical services. Government of Germany creates favourable conditions for development of sports traumatology and implementation of new technologies and methods of orthopedic treatment. Intensive rehabilitation programs (a set of procedures for rehabilitation which include medicines, physiotherapy, massage and diet). Endoprosthetics of joints is a procedure of the replacement of the joint or its parts. Specialists provide endoprosthetics in cases when conservative and surgical methods of the treatment of orthopedic diseases is ineffective or in order to reduce the pain syndrome and improve the quality of life. Orthopedists of German clinics offer to replace the joints of knee, hip, shoulder, ankle, hand and spine. Knee treatment in Germany is the most often type of the orthopedic medical care. To choose the type of endoprosthetics, German doctors take into account many aspects of the patient's condition: age, weight, the type of disease and the nature of the patient's usual physical activity. Replacement of the previously established endoprosthesis. German endoprosthesis are made from the modern materials (ceramics, alloys of steel, chromium, cobalt and titanium, which are coated with a biocompatible material, compatible with the human tissues). Most of them are modular and consist of replaceable parts. German implants are distinguished by high strength, wear resistance and can serve up to 25-30 years. The total cost is estimated individually and can vary according to the severity of illness, complications (if they occur), hospital type, and doctor’s qualification. You’ll get the exact price for orthopedics procedures after medical tests and consultation with a doctor. 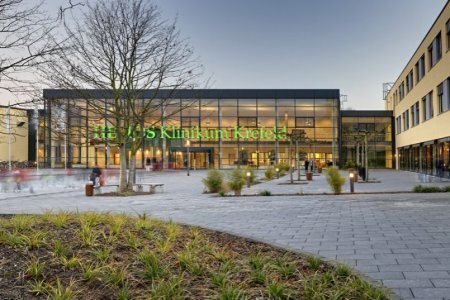 Asklepios Altona is considered as one of the best orthopedic hospitals in Germany according to Focus magazine, the most outstanding and truthful medical edition in Germany. 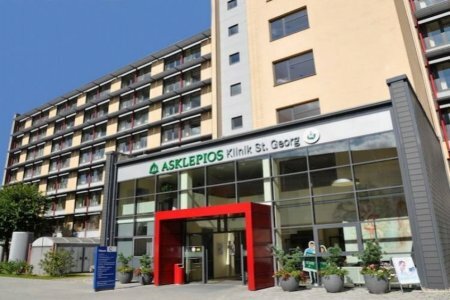 Patients choose Asklepios Altona due to high success rates, low index of complications after the surgeries, and doctors’ qualification. Medical tourists appreciate the first-rate accommodation at the orthopedic center. They stay in comfortable 5-star wards during their recovery. 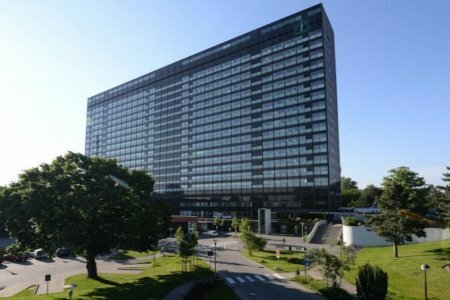 The safety committee works on the premises of Asklepios Altona. It monitors whether a hospital follows all rules during the orthopedic procedures to prevent confusion with drugs, medical error, and traumatizing of a patient. Information is represented in agreement with Asklepios Altona Department of Orthopaedics and Traumatology. Prof. Bernd Kabelka is one of the leading experts in orthopedics in Germany and far beyond its borders. Dr. Kabelka is a founder of the orthopedic hospital and specialist in joint replacements, sport medicine, and physiotherapy. Orthopedists apply techniques and prosthesis produced by the Zimmer Inc., the largest American manufacturer of orthopedic instruments and implants. The average lifespan of the Zimmer prosthesis is 15-20 years. Information on the orthopedic center is given in agreement with Bernd Kabelka Clinic data. 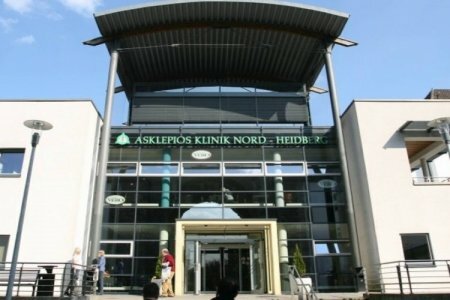 Helios Fachklinik Vogelsang-Gommern or simply Helios Vogelsang is a specialized orthopedic hospital. The focus of the hospital is on orthopedics, rheumatology, sports medicine and pain management. 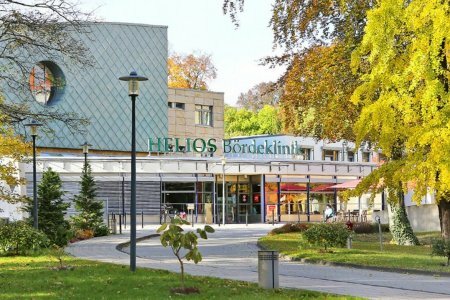 Helios Vogelsang is recognized as the best German hospital for rheumatic diseases treatment in Germany according to Focus, authoritative edition. Helios in Gommern is also popular with professional footballers, boxers, and other athletes. 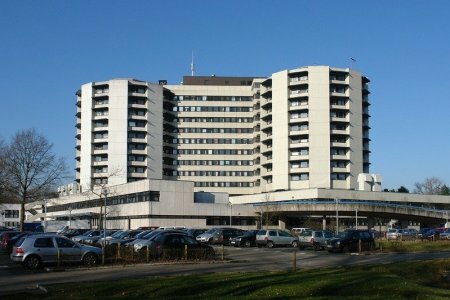 Berdekrankenhauz Clinic is a multidisciplinary medical institution, which is located in the town of Oschersleben. The Department of Orthopedics in Medical Park Hospitals Group (Germany) has the certificate of the German Olympic Sports Confederation. 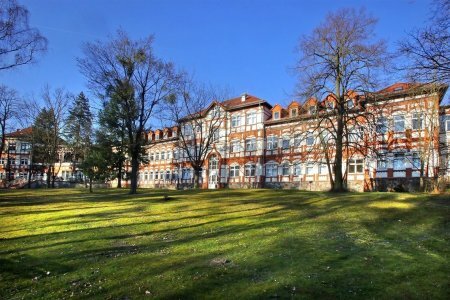 The Hospital in Bad Wiessee is the official rehabilitation center of the German Ski Association. Specialists of the Hospital treat diseases of the musculoskeletal system and provide post-traumatic rehabilitation. The Department consists of Orthopedics, Traumatology and Sports Medicine Subdivisions. In 2018, Medical Park was included in the TOP 100 centers in Germany of orthopedic rehabilitation according to Focus magazine. Over 200 medical staff members provide a comprehensive care at Charité. Orthopedists accepts 8,000 inpatients and perform over 8,500 surgeries per year. Specialists from 89 counties offer treatment initiated by international exchange programs. Doctors share their experience with foreign colleagues and stay abreast of all innovative medical issues. Tumor orthopedics is one of the leading specialties in the hospital. Doctors provide an accurate treatment for patients with sarcoma. 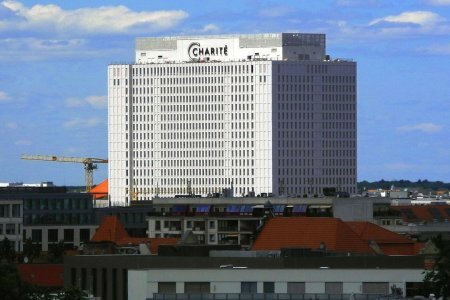 The Research Center works on the premises of Charité. 3,700 researchers work across 1,000 projects and develop new treatment options to cure different diseases. Charité orthopedists specialize in joint replacements, sports and pediatric orthopedics, shoulder, spinal, hand, and foot surgery, tumor orthopedics. 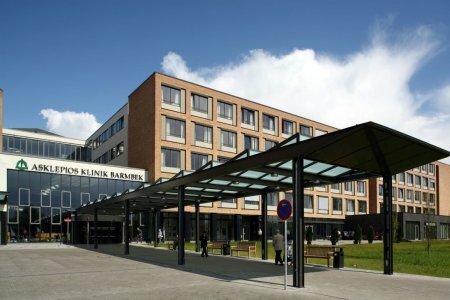 Facts and figures about the hospital are represented according to Charité Medical Center data. The treatment took place in the orthopedic department of prof. Floating. After two operations in Russia, the condition of the knee only worsened. Conducted in the clinic of Solingen therapy relieved me of pain and restored the function of the knee joint. Many thanks to Maria for her help in the organization of treatment, selection of a specialist and support throughout the treatment. 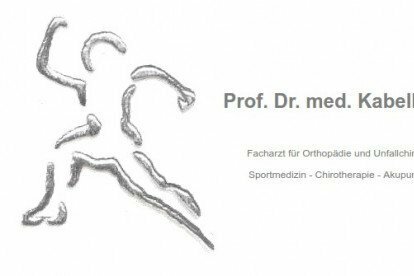 With a calm heart I can recommend the orthopedic department of the city clinical clinic in Solingen and especially its head prof. Floating. The situation before going to the clinic was critical. In Russia they refused to treat, all previous operations failed. During the therapy I was in good hands. Assistance was provided at any time of the day. All problems were solved quickly and competently. After a short enough time after the operation, I feel better, and I owe this not only to the professionalism of the doctors but also to the high level of organization of this trip. Very satisfied. Many thanks to all! 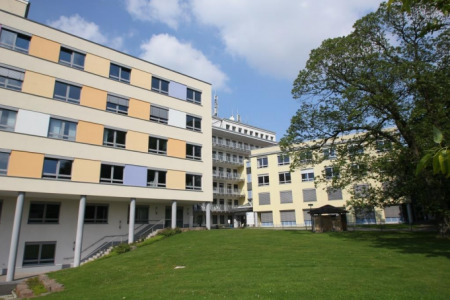 ➜ 2,700 surgeries are performed at the orthopedic center of Solingen annually. Orthopedists cooperate with neurosurgeons to treat spine disorders. It reduces the risk of medical error and helps to choose the most appropriate treatment for each patient. 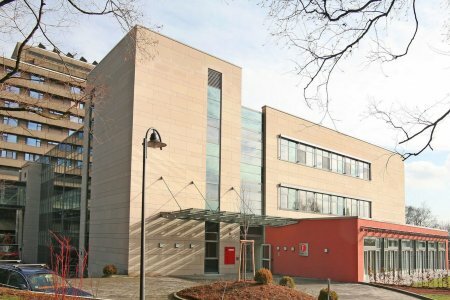 EndoProthetikZentrum works on the premises of the hospital. The сenter has a certification of DGOU (German Society for Orthopaedics and Trauma), the German orthopedic community. The certification ensures high quality of the implants and excellent doctors’ experience. ➜ Over 250 hip replacements and 100 knee replacements are conducted at Solingen orthopedic center per year. 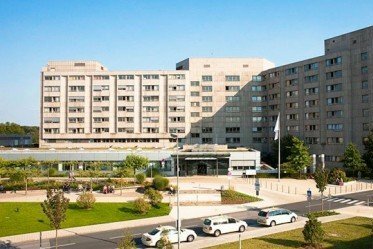 Solingen is one of the best orthopedic hospitals in Germany where specialists carry out hip and knee replacements during the same procedure. Solingen orthopedists specialize in joint replacements, spine surgery, arthroscopy (a non-surgical treatment of knee and hip disorders), fracture treatment. Information on the hospital is given in accordance with Solingen orthopedic center report.